I have to say that on the rare occassion that I drink hot chocolate I usually reach for the jarred variety and add a slug of whole milk to add richness and somehow lessen the guilt over my poor choice of “cheating” hot beverage. But eventually enough is enough & you have to take a stand & make something that you yourself could proudly share with a like minded foodie. So with this in mind I sat down with pen & paper & decided what my perfect hot chocolate would be be. Not necessarily an every day hot chocolate (I don’t think this should be) but something ritualistic, decadent & memorable. I decided that I could learn a thing or two from how custard is made & use an egg yolk to create something thick, rich & restorative. 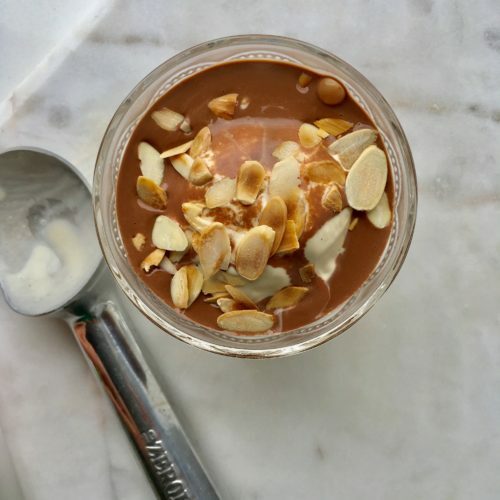 The following recipe makes two small luxurious hot chocolates & is made very simply from dark chocolate, whole milk & one egg yolk. Place 200ml of whole milk over a gentle heat & add 50g of grated 80% dark chocolate. I chose 80% dark chocolate because the remaining 20% is sugar and this is just enough. If you would like your hot chocolate a little sweeter simply select a 70% dark chocolate. What is very important though is that this hot chocolate deserves a high quality, characterful chocolate, ideally single origin. Stir frequently until chocolate has fully melted into the milk. Meanwhile, whisk one medium egg yolk in a small clean bowl. Whisk until smooth and pale. Once the chocolate has melted into the milk pour over the whisked egg yolk in a thin stream continuing to whisk as you do so to prevent the egg scrambling. Return the chocolate, milk and egg to the pan & heat gently stirring frequently with a whisk to ensure it does not catch on the bottom. 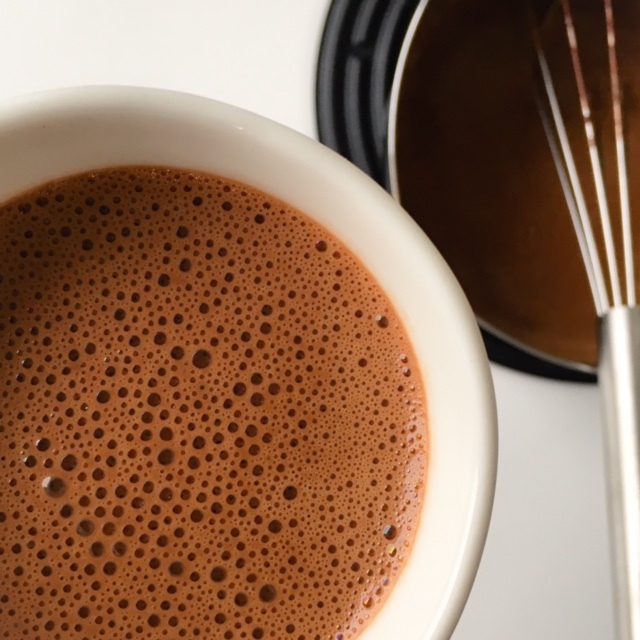 Watch & whisk for approximately 5 minutes, the hot chocolate will begin to thicken & coat the back of a spoon. Pour the hot chocolate into small coffee cups & enjoy. 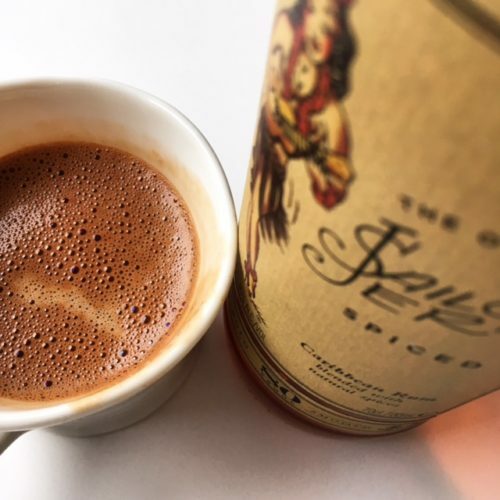 For an added dimension add a measure of good rum, my choice is Sailor Jerry spiced rum…..
Alternatively, make the most of this decadent hot chocolate & pour over good quality vanilla ice cream & finish with a sprinkling of toasted flaked almonds for an impressive but easy pudding.